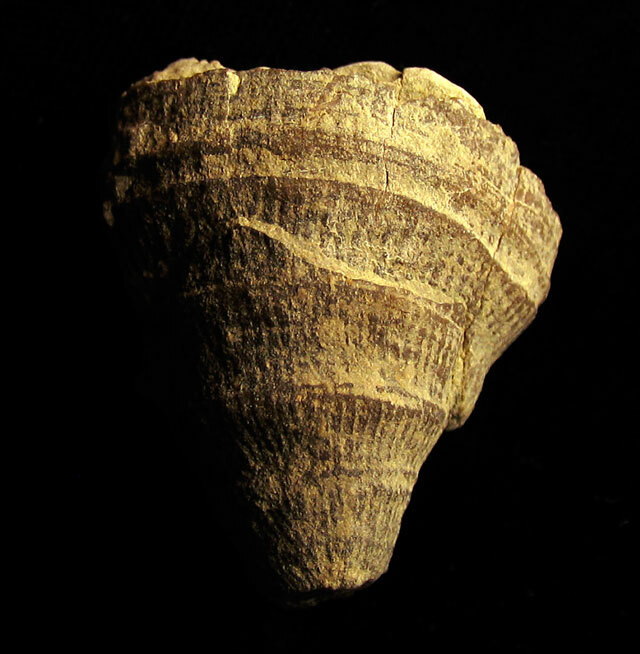 The Dokophyllum intertrium horn coral fossil found in the Waldron Shale of Clark County, Indiana. This creature existed in the Middle Silurian Period (about 425 million years ago). The Indiana State Museum has another specimen in the on-line database that can be seen here: CLICK HERE FOR WEB PAGE! 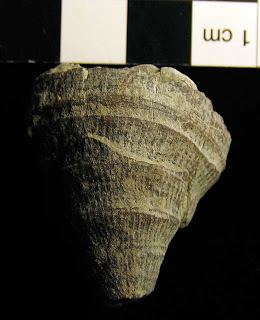 Thanks to Alan for letting me photograph his fossil.